Engine serial # F11E16501 - 31699 found on RH top crankcase, below carburetor. 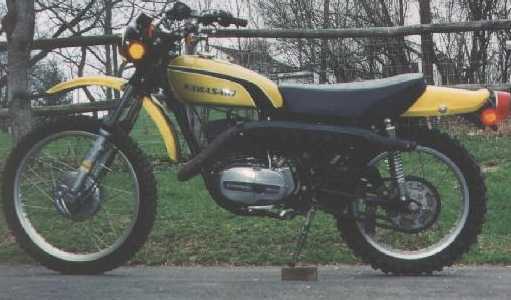 Engine Type 2 stroke, single cylinder, piston-valve, air cooled. Shift Pattern (Bottom Up) 1-N-2-3-4-5 Cylinder Material Aluminum alloy with ferrous sleeve. Rear 4.00-18 4PR Tube-Type - Level Motorcycle vertical, off side stand, wait 5 min, between lines on dipstick, not screwed in.